1. If you have to choose between a shower and a bath, choose the first one: a bath can use up to twice the amount of hot water you need for a 5-minute shower. 2. Keeping the tap off while brushing your teeth or when shaving reduces the supply of water by 50 to 1 liter, with a substantial water savings. 3. During the shower, while massaging your hair with shampoo or conditioner, turn the tap off to avoid unnecessary waste. 4. Periodically check the taps for leaks. 5. Carry out periodic inspections to evaluate the condition of water systems, verifying the shutdown of the water meter when all the delivery points are closed. 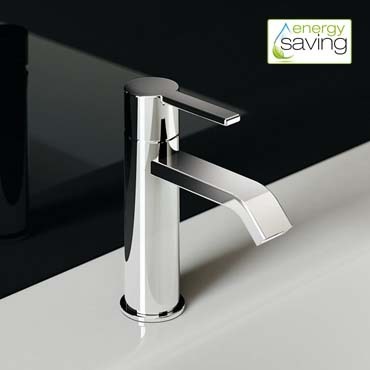 The ideal choice for consumers who pay attention to water saving. 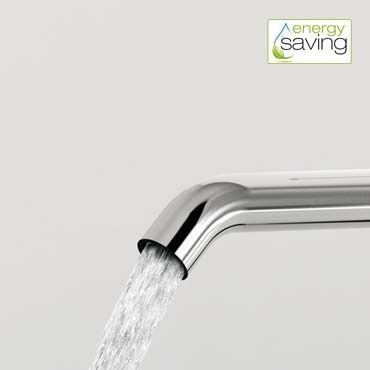 The Sweet 46 wash basin mixer has the water flow rate limited to 4 liters/minute. Reinterpreted and even more minimalist version of Cleo 80, Fir Italia’s renowned collection based on cylindrical design. 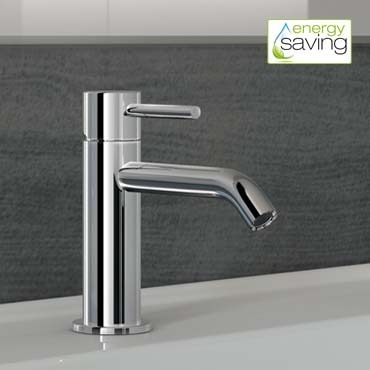 The New Cleo 84 wash basin mixer has the water flow rate limited to 6 liters/minute. 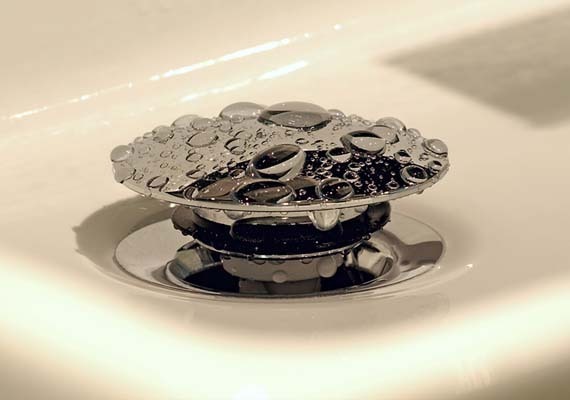 “Green” aerators can be installed on all Fir Italia modern o classic tap collections in order to reduce the flow rate and save about half of the water.